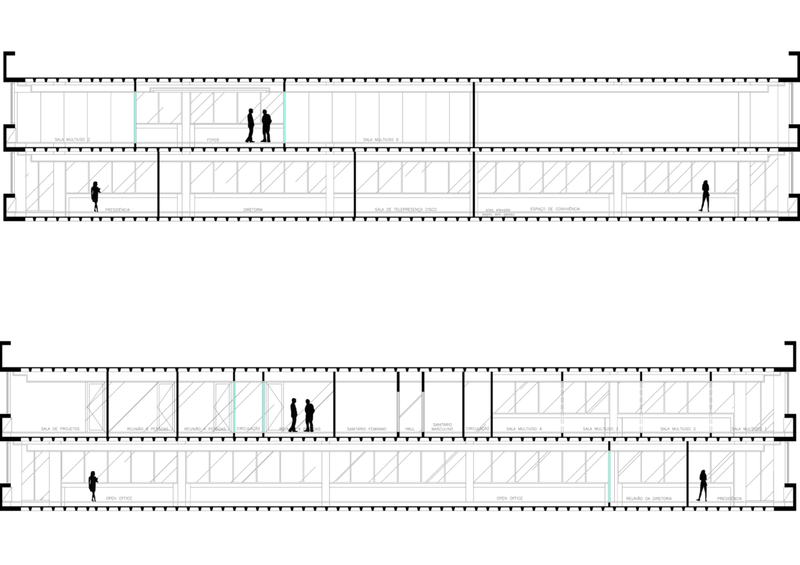 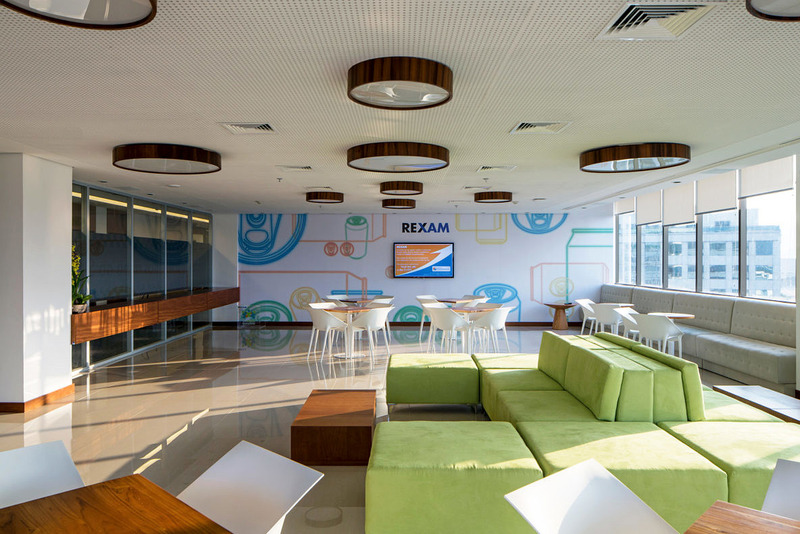 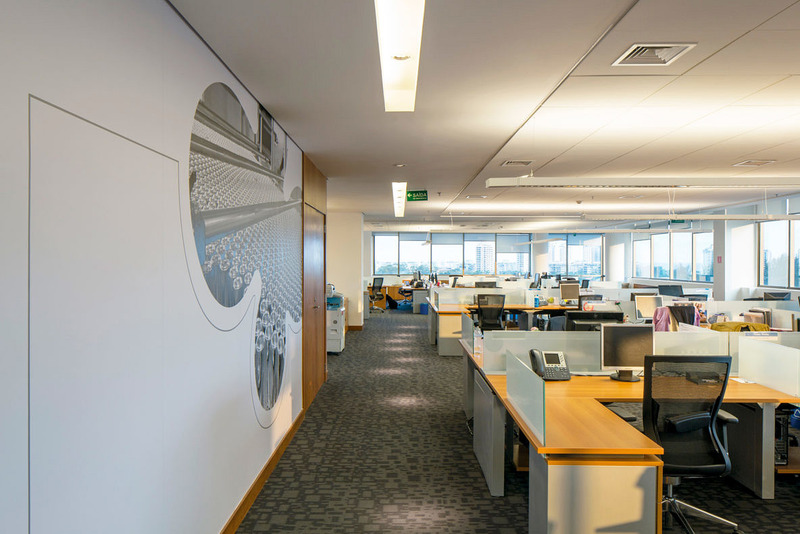 Rexam’s architectural program aims to mirror the company’s work philosophy. 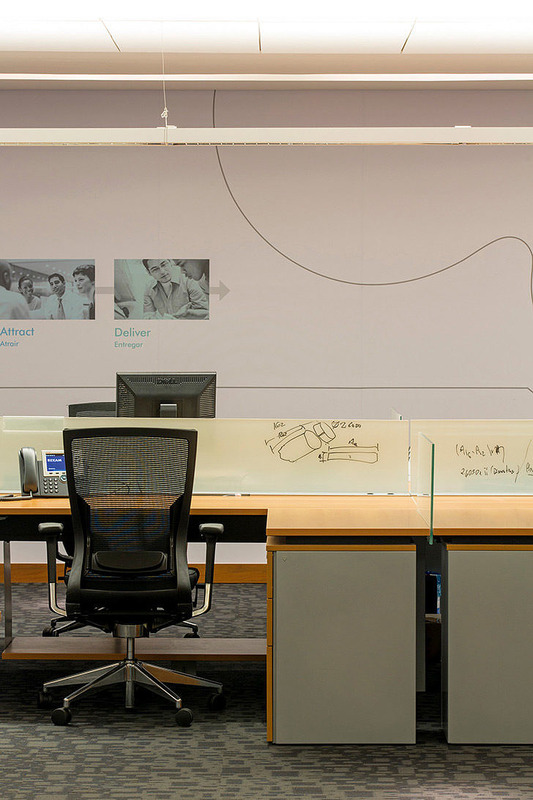 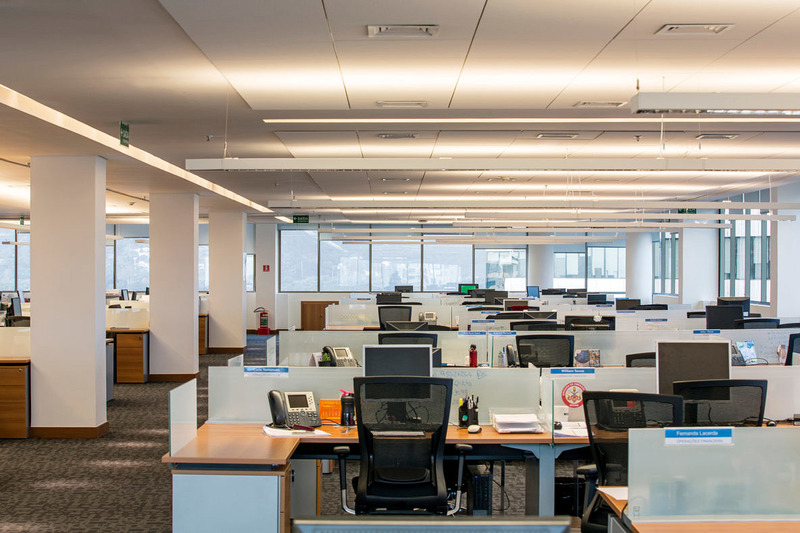 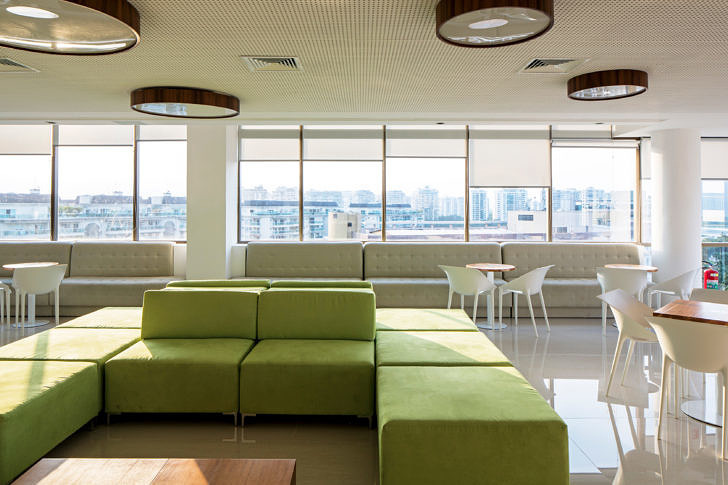 Open workspaces (open-office) favor the formation of teams, interactions and friendships. 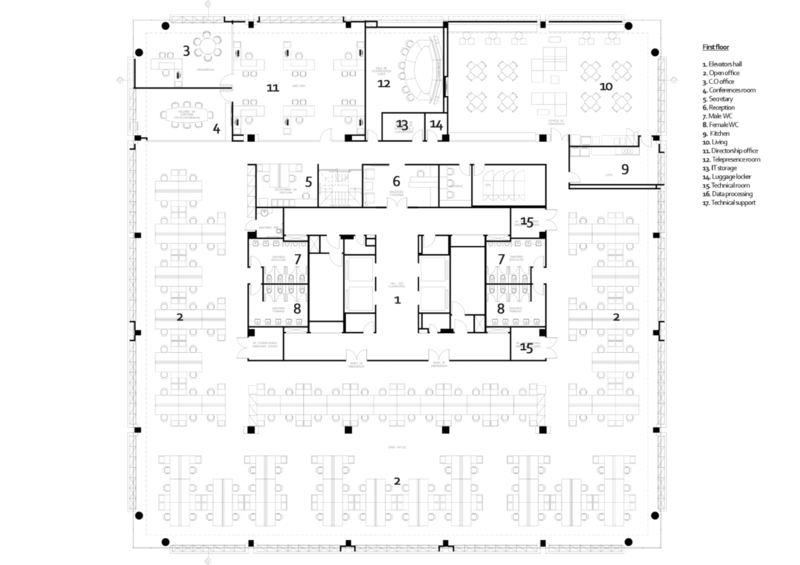 The entire floor where employees and directors are located is designed this way. 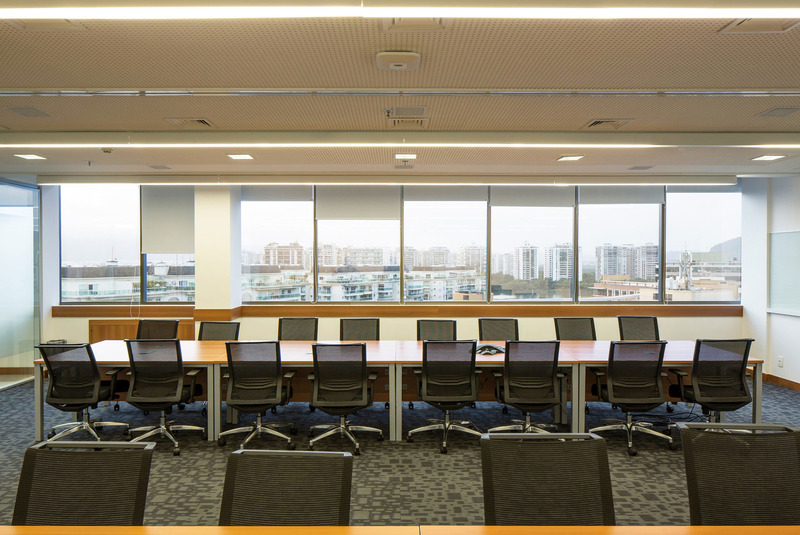 If an employee needs to call a work meeting, he or she will request a specific room for this purpose. 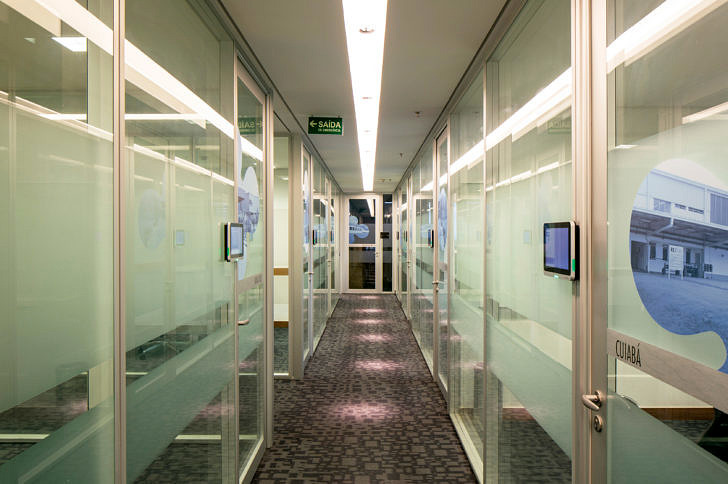 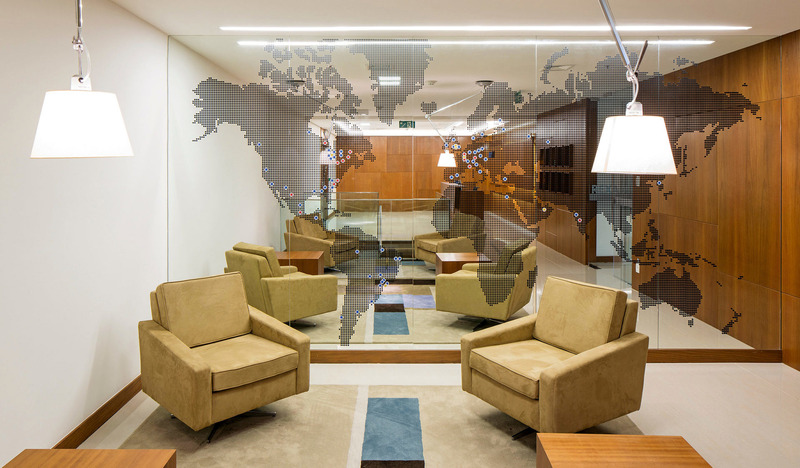 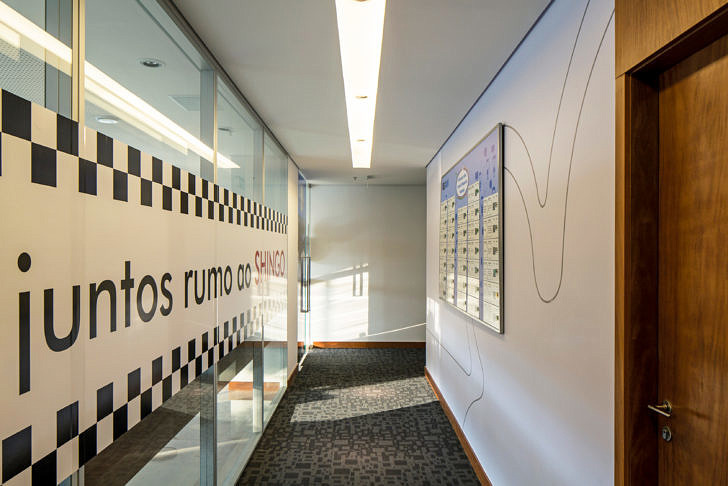 Since an open-office floor separates the meeting rooms, the visitor only has access to the latter, giving a sense of freedom and privacy to the house staff. 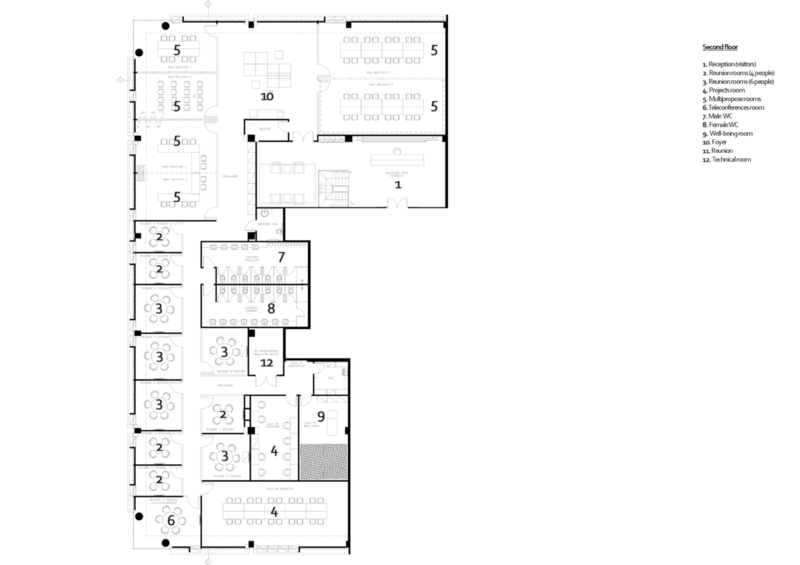 Architecturally speaking, we tried to make the program very clear and practical for the users. 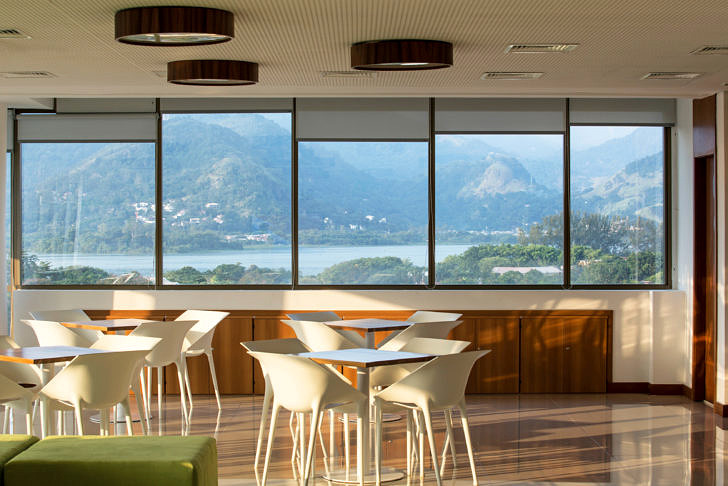 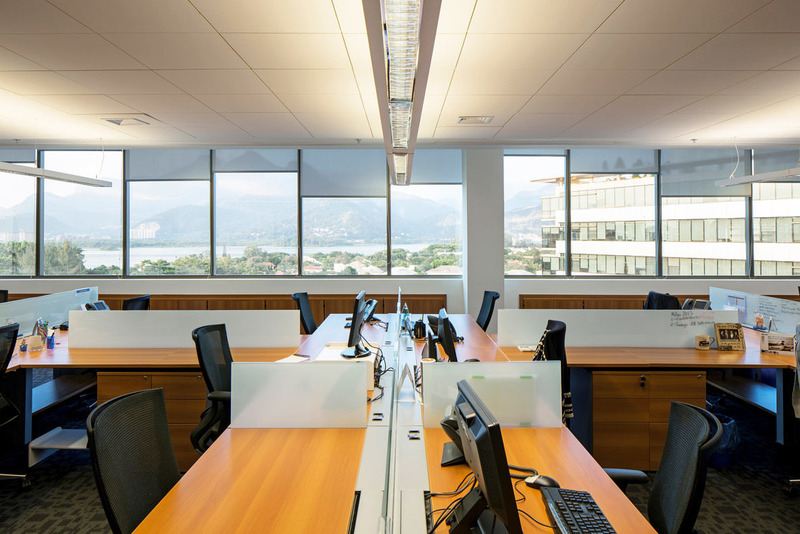 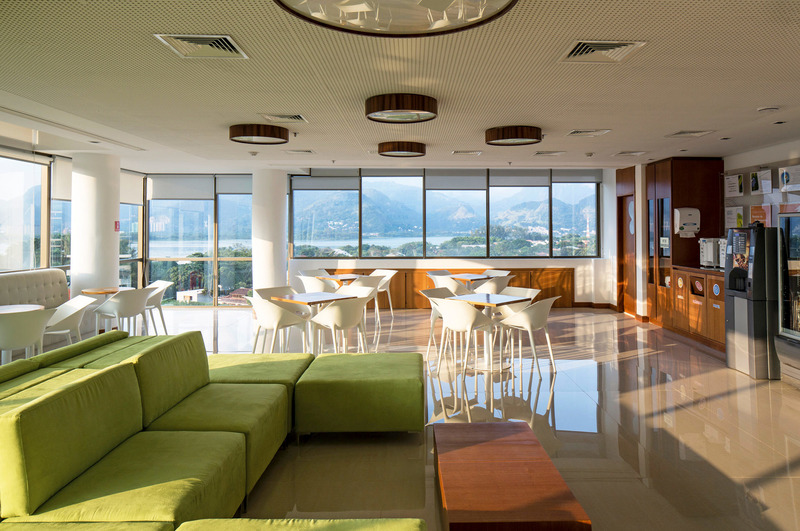 With some good natural and artificial lighting solutions, the ambiance always offers good environmental comfort, and every area has a view of Rio de Janeiro’s beautiful landscapes. 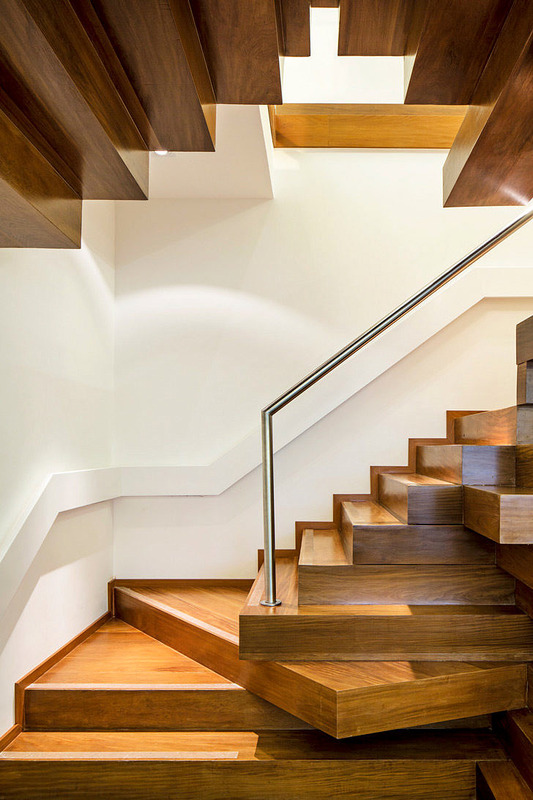 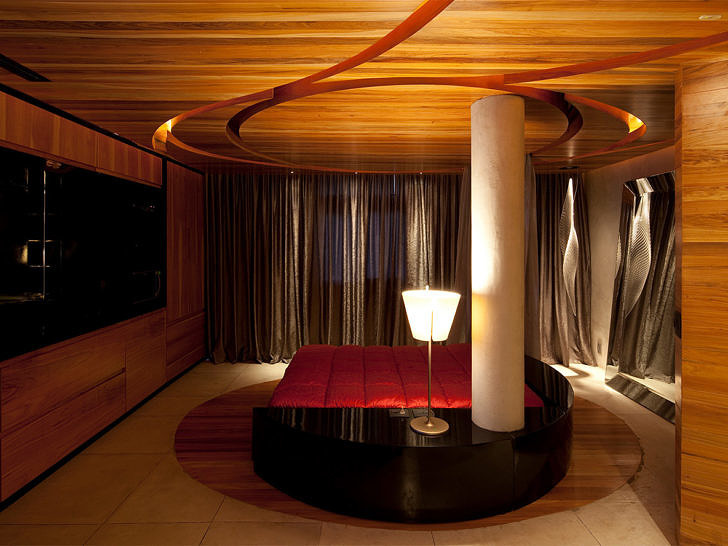 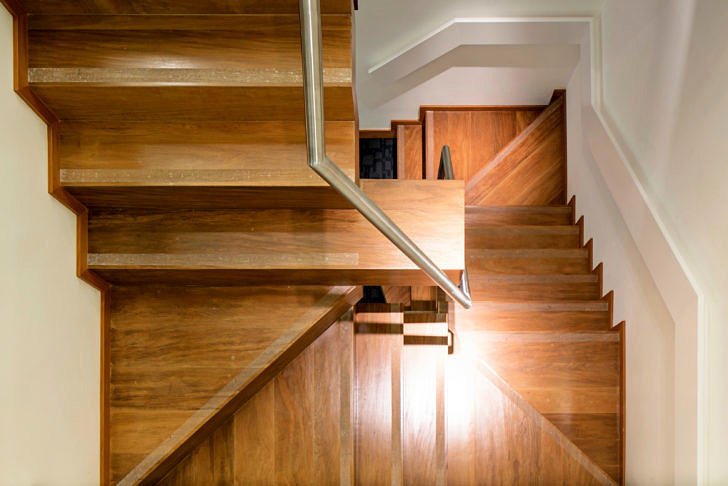 Aesthetically speaking, conventional solutions were followed by bold ones when it came to the colors in the relaxation areas, to the design of the stairway (umbilical element between “Rexam social and Rexam private”) and to the choice of coatings and furniture (most of which was also designed by us).